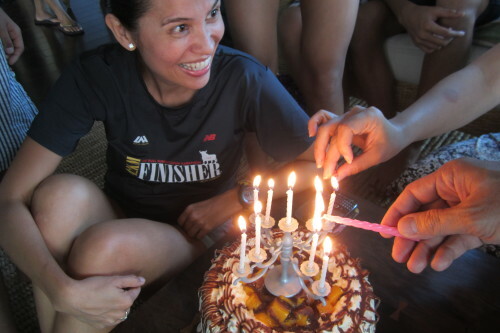 Thank you, Coach Rio and wife Nicole for the Mango Bravo cake and Sis Vicki for the candelabra! I’m 43 today and life is great! Spent my advance birthday party conquering an unfinished business of finally completing my first marathon (42km @42 y/0) which was aborted in New York last November due to hurricane Sandy. It was a special treat that I stumbled upon while nursing a broken heart after coming home from New York with a failed attempt to reach a dream I have had for quite some time.. I happen to chance upon a post about The Bull Runner Dream Marathon’s 2013 edition which was to be staged the day before I turn 43! It was a blessing straight from heaven and I took it as God’s sign of giving me hope to have a taste of a dream. What better way to achieve it too than with a race designed specifically for dreamers! 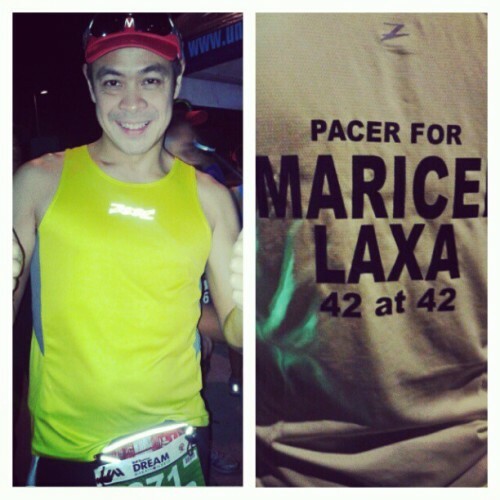 Jaymie’s confirmation gave me so much excitement to look forward to my 42@42. I trained rain or shine, night or day, with or without sleep, in between nursing my baby, wrapping up a movie, bringing my kids to school also while juggling my time at home doing chores, attending to various speaking engagements, family gatherings, etc. Even though I feel I could have run some more, I made nothing come between me and my training. I stopped succumbing to the temptation of giving in to millions of excuses not to train. I felt good and ready. I owned up to the responsibilities behind having signed up for my dream marathon and decided to go for it with my whole heart, body and soul. I looked at it as tribute to my God who has given me a healthy body and I wanted to make the most of the opportunity to encourage as many to get fit. It was also my gift to myself so I could have time alone (training) to assess life, so I could overflow good vibes to others and get together with family members and friends who share the same passion with me. It was also my gift to my family for having supported me in all my crazy endeavors . It was a small consolation I could give to all those who made it possible for me to achieve my dream..
Five years ago, my family and I had the privilege of being coached by no less than Coach Rio dela Cruz thru the introduction of very dear friend, Karen Davila. Our family then got so actively involved in various running events that eventually, he planted a seed in my heart about being able to run a full marathon one day. I told him that I never imagined I could ever complete 42 kilometers! He said to just picture it this way- invite each member of my family to commit to run with me at different distances and make it a fun experience. 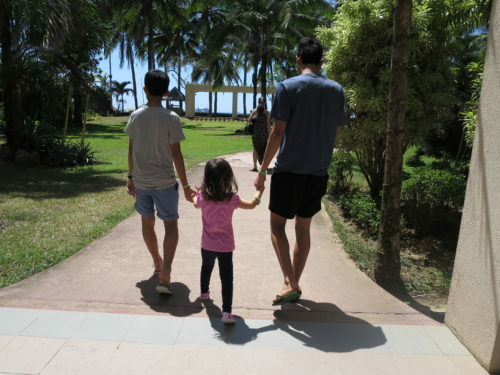 I then understood what he meant when I signed up as pacer in one of the first runs of TBRDM where I saw Coach Rio pace with different people at different distances and I imagined each of my kids running a few kilometers each with me . 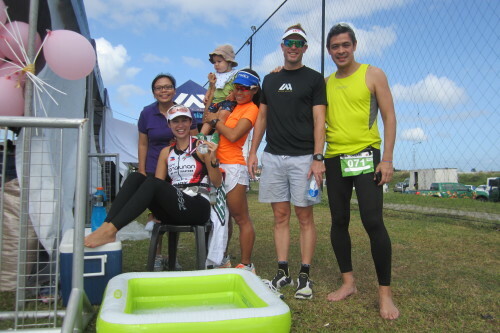 That would make it a super bonding experience which really excited me..
Well that dream was put in the back burner as our family got more seriously into triathlon events. We then were coached by Coach Jojo Macalintal and Coach Ani de leon-Brown. We moved to the south and expanded our interests to a variety of other events and then more so with running. 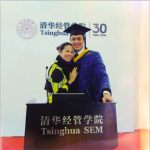 My desire to run a marathon was sparked once again by then Timex Marketing Director, Gemma Pagsibigan when she offered my husband Anthony and I slots to the New York Marathon. It was only Anthony who got to avail of the slot because I was pregnant with my baby Solana but I vowed to join the following year. Well I shared what happened to our New York experience so I’ll spare you details about that.. 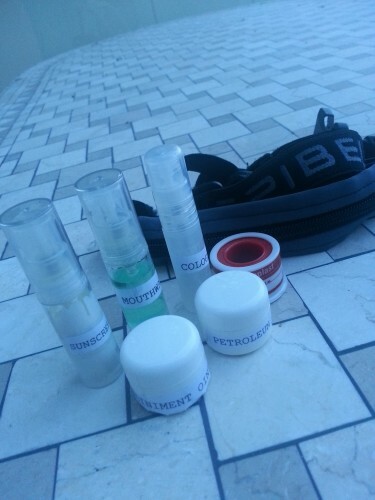 I stashed my Spibelt with the following: Sunscreen, mouthwash, cologne, petroleum jelly, liniment oil and Lukoplast tape . 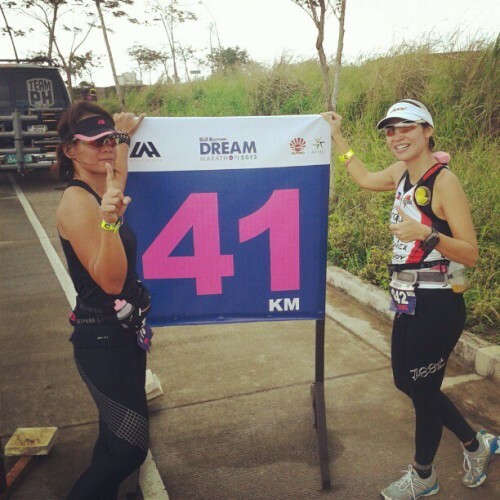 I put them all together and head off to my dream race and got welcomed by this fab TBR team: Jun Cruz (who made sure I got number 42 as my official race number, huge hug for that, Jun!) and Jaymie Pizarro, the organizer of TBRDM (who welcomed each participant herself!). One thing though that I never take for granted is the team I leave behind to care for our home and our children..That’s my household staff who are all super supportive. My children also gear up to take care of each other especially the baby so everybody gets their rest while we run so they are fresh to welcome us after.. The TBDM’s gunstart was set at 2am. One thing I love about races is that they start exactly on time! It was designed to be a dream run for every first time marathoner so you’ll see lots of amazing energy boosters like: happy volunteers (for water, ice, sponges) a live band, cheerleaders (complete with costumes and props like balloons and cow bells), dream chasers ( they provide candies, fruits, refreshments, snacks, chocolates gummy bears (I just discovered this is a perfect race snack too! 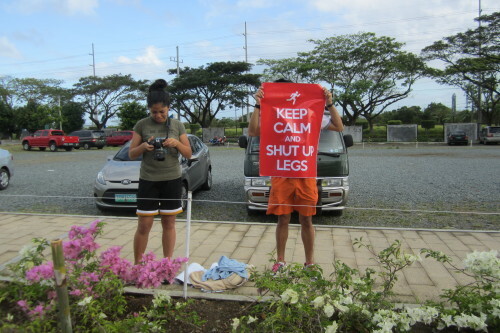 ), water mist, bananas, gazillions of ice, gatorade, bananas, a kikay tent (yes! with powder, wet wipes, cologne, alcohol, make-up and lip gloss) and super dedicated photographers to help capture that once in a lifetime experience. I was super touched with my Avent Family for taking my wish seriously of having a Nursing station somewhere in the course. 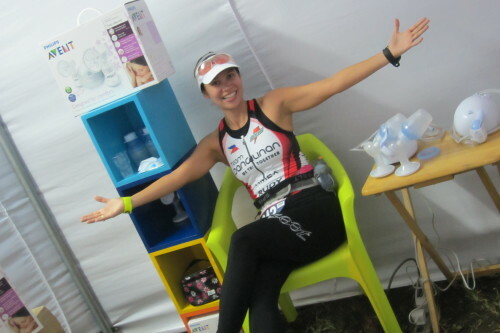 There were two of us, nursing mothers and the idea of running for many hours without having to express milk could cause anxiety to any nursing mom so I had hoped to have a chance to pump milk at least. Well, Avent provided not one but two nursing stations! 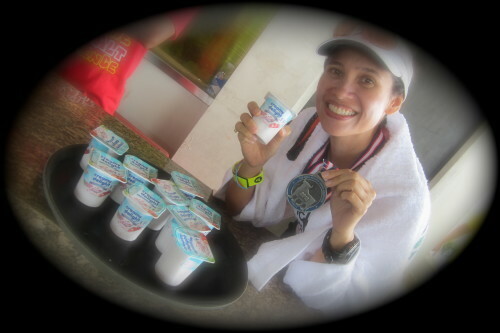 Though I didn’t get to pump milk even though I was engorged with it as Anthony and I tried our best to finish at my fastest, most decent 1st time marathon time, my classmate finisher was able to do so and wow, that’s really a first in any race! The stations were heavily guarded as precious cargo was to be stored there.. 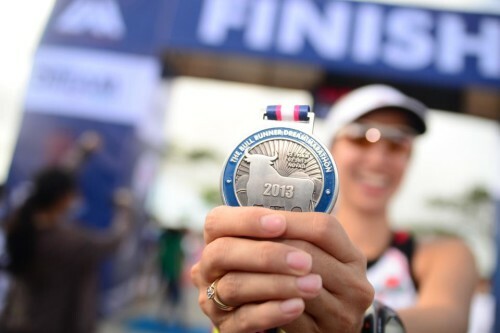 It was a grueling marathon course as Nuvali is made up of killer hills that I couldn’t imagine biking when I was just starting out as a triathlete..now while I was running it, I realized that it was really tough and no laughing matter. 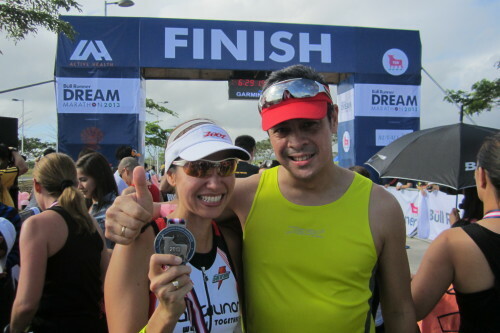 Anthony and I set out with a clear plan of going for a 4:1 strategy (that means 4 minutes of running and 1 minute of walking- got this from Chi Running guru and 70.3 Cebu Ironman team mate, Lit Onrubia ). I had Jose Sarmenta from my Timex Family set my GPS watch for that interval so we were soaring for the 1st 21kilomenters and took advantage of all the hills to run down fast as gravity pulled us. Right after the 1st 21 k though, my knee gave in and I had wanted to quit from going for the 4:1 strategy and was wanting to just walk all the way. Anthony had to talk some sense into me so many times in the 2nd half of the course to isolate the pain and reminded me of how many times I succeeded in medication free childbirth..He was psyching me to conquer my pain but I had wanted to give in to it . Good thing I let him lead as pacer (after he gave me the “I’m in charge” look). Boy, it must have been tough for him too but he remained loving yet firm all throughout even though we almost fought. Really, I mean I thought I was the boss as he was going to be my support but he reminded me I also had to be sensitive to him as pacer to stick to the plan and just like our marriage, it survived with a clear set of guidelines and a confident leader who doesn’t give up. This reminder couldn’t have come at a better time. Wow, it takes real discipline to stay calm in such crazy situations!! One huge blessing that also saved me and Anthony from getting completely nuts after going through the ups and downs of Nuvali is my Kumare, Tina Zamora. She decided to run with us before she actually hit a wall. I thought I found a comrade to help me persuade Anthony to slow down. 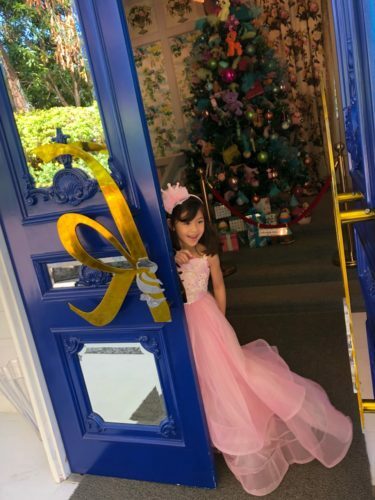 Instead, I found one who clearly saw there was wisdom in the one leading the way and she helped me understand that we have to completely trust him to help us finish strong (she made this clear when she nudged me to scoot up to where Anthony wants us to be at all times-by his side). We then vowed to stay with Anthony’s (slower) pace and finish together with our heads up high. Before we knew it, we had reached this far swiftly because we kept with the game plan and stuck with each other. It was all smooth sailing after that and we relished every single step towards the finish line together. Yes, we finished strong and it is just the beginning of many more ‘races’ to conquer…. Thanks to my loving and firm hubby, I made it to the finish line in one piece and our marriage intact, haha! We even had a blast (doing footsies) enjoying the pool of ice prepared to us by our Avent family to help our tired bodies recover fast! Yup, I taped every single toe to prevent any blisters (I learned this from Coach Ani) and yes it worked! This made me have feet and brain freeze but it felt gooood! Thank you, Creamy Delight Family for making sure all of us marathoners (ah, I love how that sounds) get to celebrate with the free sampling of yogurt. 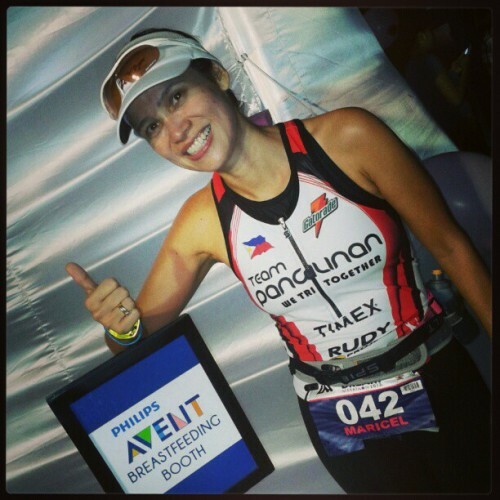 Forty two, you have been defied…I am Maricel Laxa-Pangilinan and I am a marathoner! Thank you, Tong Pascua Photography for this awesome shot! 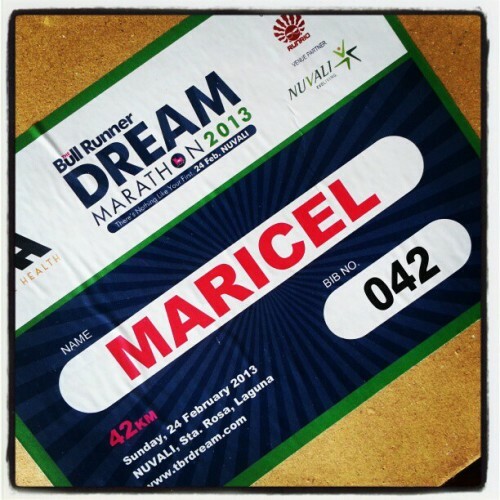 Congratulations Maricel. Been following you in twitter to see how you put everything together. I’ve seen & heard you and Anthony many times,few years back in Mead Johnson, BreadCom Church & even in our Continuing Dental Update. As a wife, mother, daughter, dentist, employee, I find it difficult to reach my dreams in running. 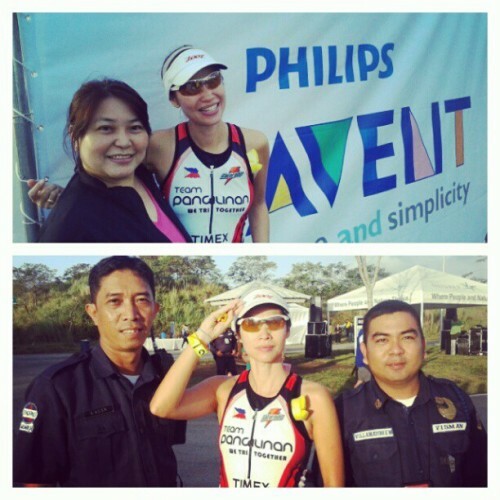 My hubby is a triathlete & his training hours alienated him from me. 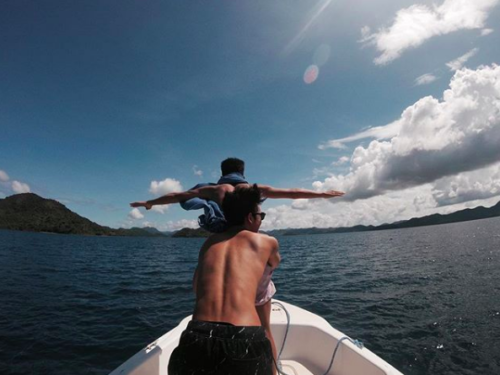 I used to run with him but we’d end up arguing during the training so I shifted to surfing. The sports we both got into pulled us away from each other. That started my search for someone who can help me put things back together. My prayer was answered when I saw your twitter account & found out about your team Pangilinan. I know you’re a godly woman & would like to learn from you, tho you’re younger. I’m being trained now by my husband for my next run which is 16k this March. 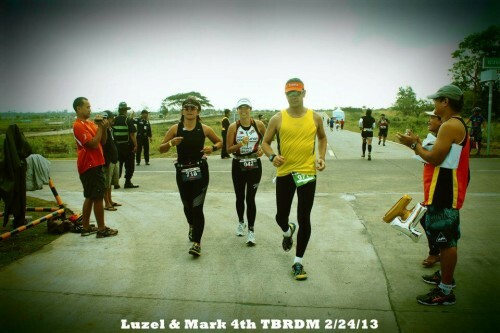 I’m praying, just like you, to do a full marathon this year & by December , join the 50k Tagaytay to Nasugbu Run, God willing. I really hope I can get more tips from you & thank you for inspiring women thru your life, the wife of noble character. Blessings! I wish you the very best, Grace! Congratulations! I really enjoyed reading about your first marathon experience. Thanks for sharing!